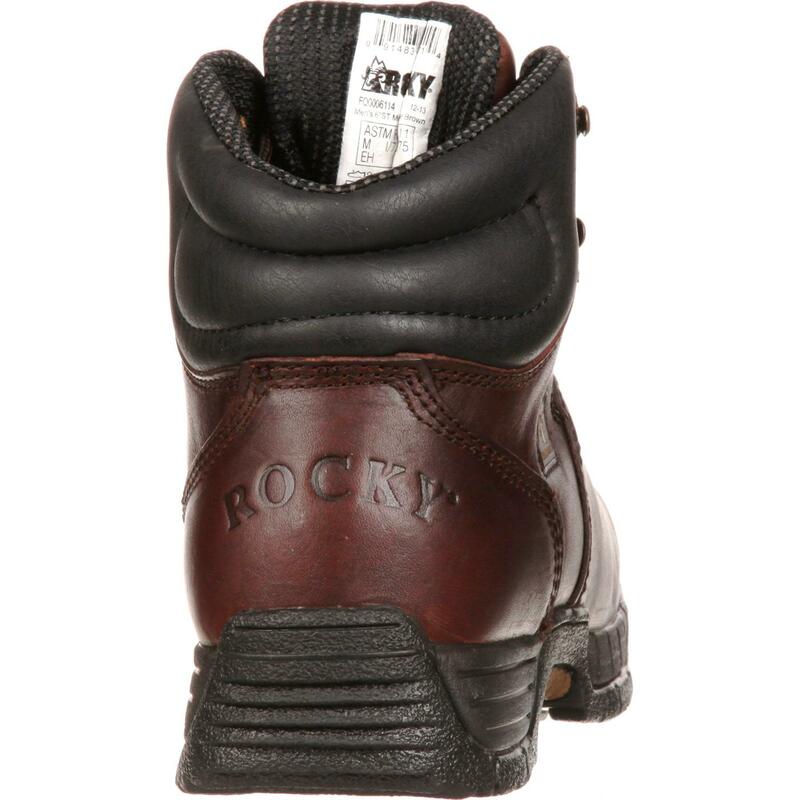 You can entrust these Rocky® MobiLite work boots to keep your feet protected. 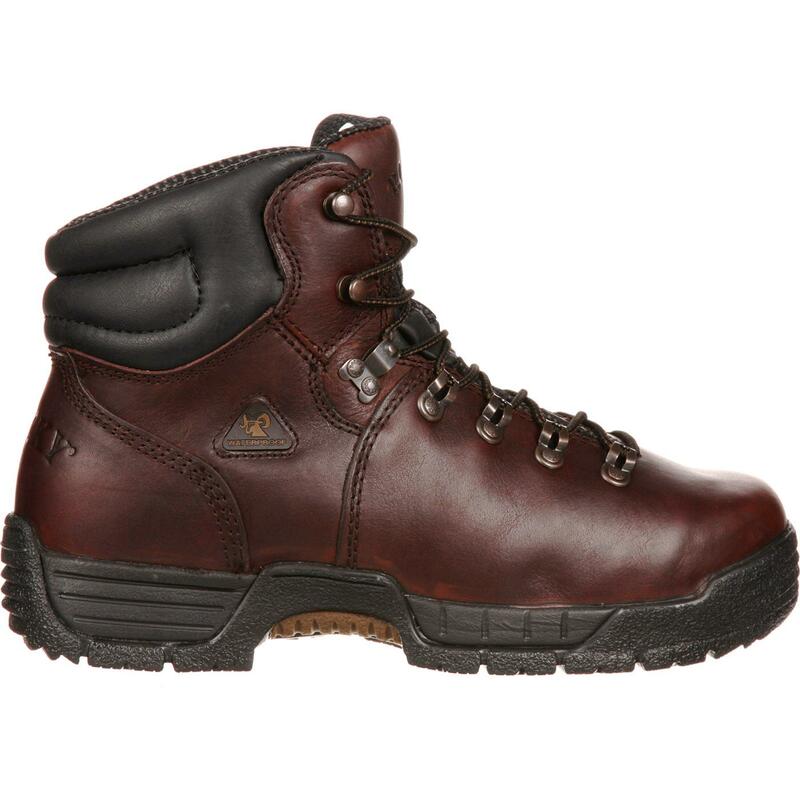 The steel toe has met the ASTM F2413-05 I/75 C/75 Protective Toe Classification, so these brown work boots can withstand up to 75 pounds of impact and compression. 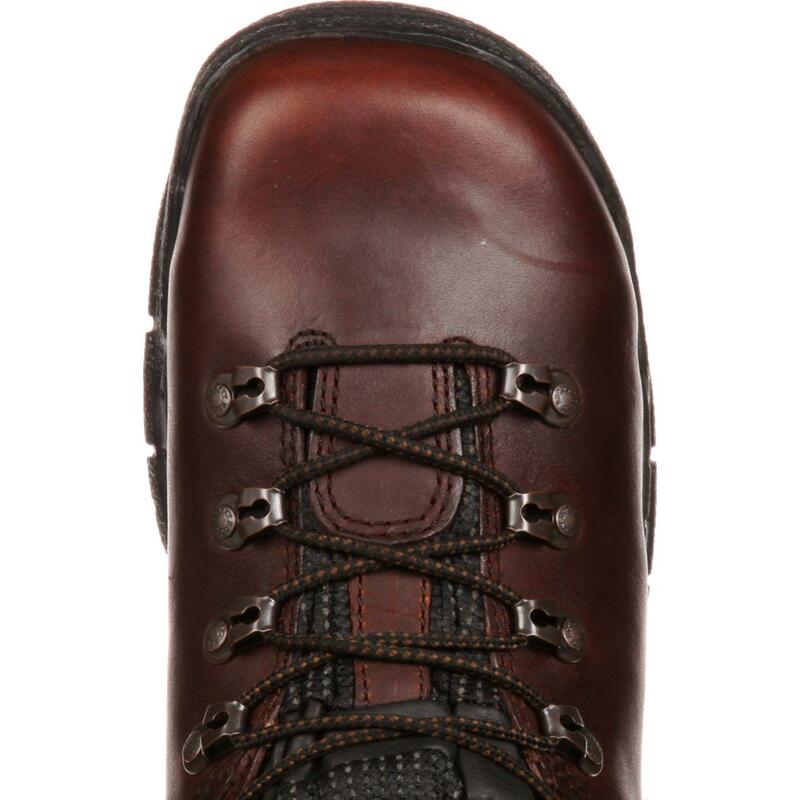 This footwear also has met the Electrical Hazard Standard. 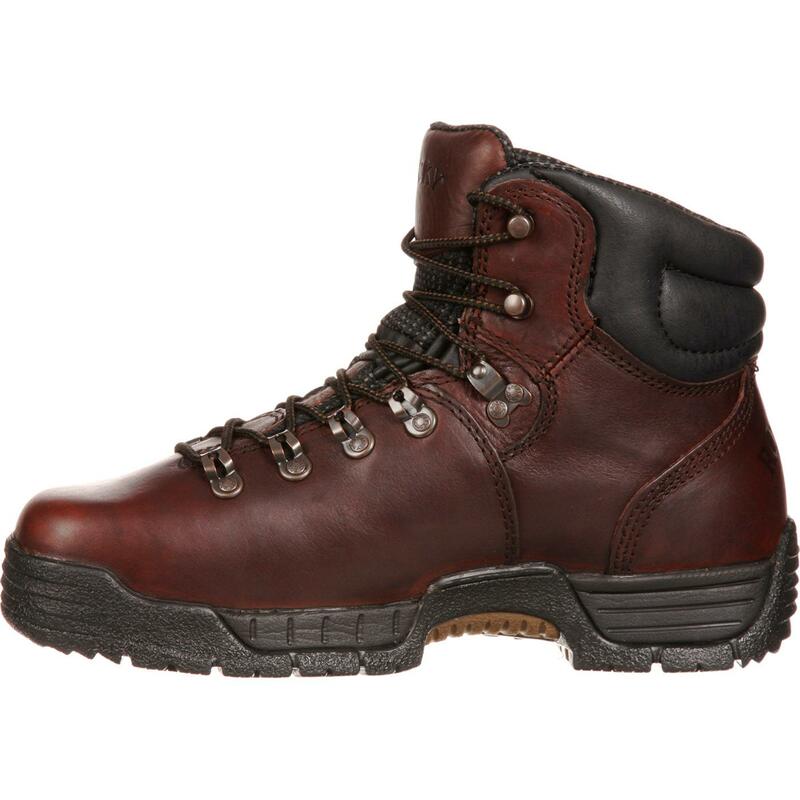 When you're hard at work for hours on end, you want to be wearing comfortable boots. The wide toe box of these steel toe boots gives your toes wiggle room and is comfortable for work. 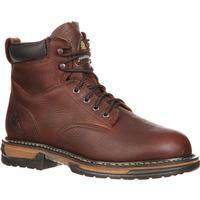 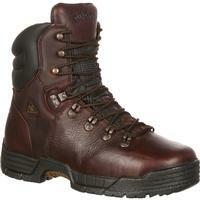 The lace-up design and leather upper also contribute to the great fit and feel of a Rocky Boot's mens work boot. 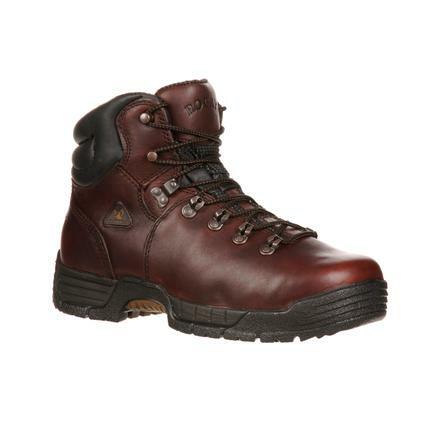 While the Rocky polyurethane footbed provides cushioning for your feet, the interior stays dry because of the Rocky waterproof construction that guarantees these are waterproof boots. 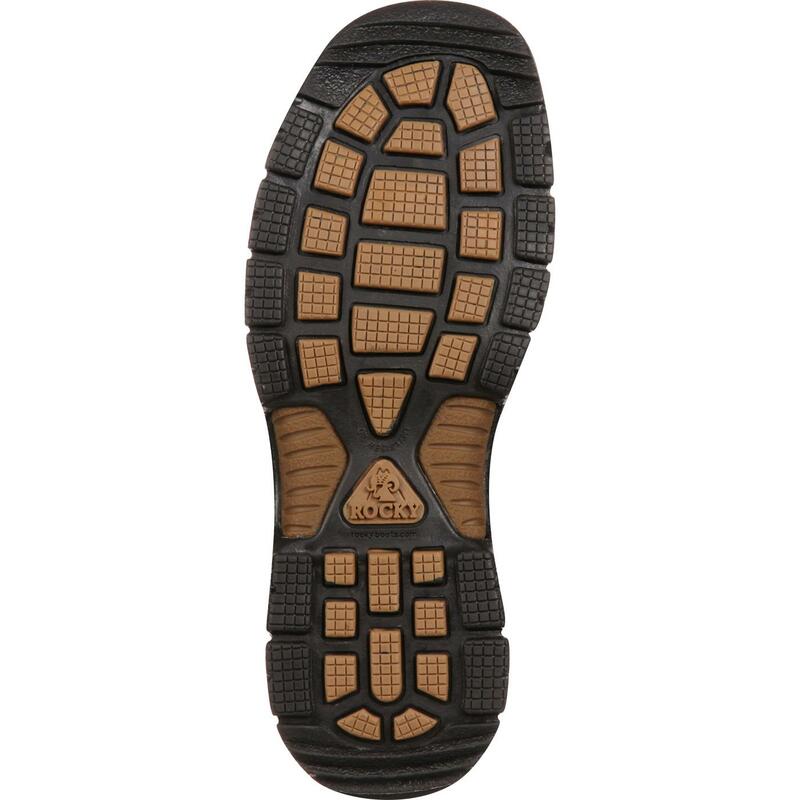 Under your foot is the EVA midsole and rubber outsole. 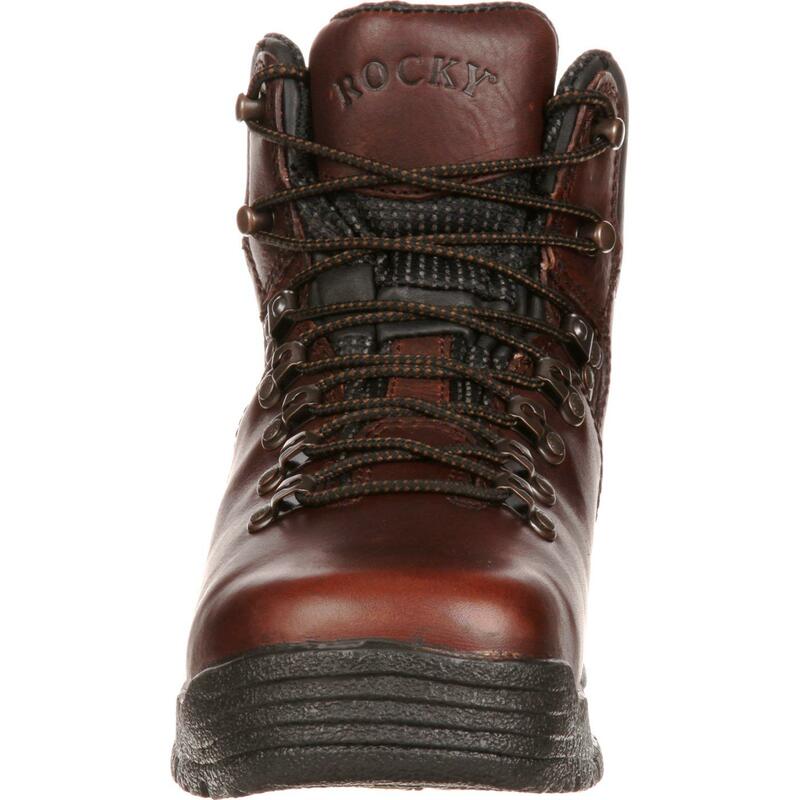 This combination of materials allows the Rocky work boots to be lightweight, flexible and comfortable. 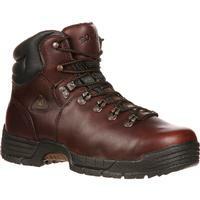 The boot sole is also oil- and slip-resistant, which helps you keep your balance on the jobsite.